HMH Books for Young Readers, 9781328740595, 48pp. "Rush out and treat newly independent readers to this heartwarming tale that brings a satisfying end to the arc of Mouse and Mole's relationship." "This heartwarming, early chapter book unfolds with perfect pacing, and every word advances the plot, provides information, or delivers humor. A delightful addition." "This romp of an early reader acknowledges that a first crush can feel every bit as momentous as a more long-term love." "[A] gentle, simply written tale. . . A pleasant entry in the Mouse and Mole series." 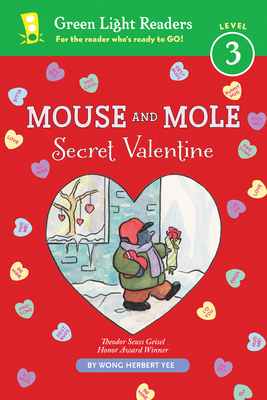 "Full of blushing cheeks, butterflies-in-stomachs, and goofy grins, the seventhy title in the Mouse and Mole beginning reader series celebrates Valentine's Day with a mouse-gets-mole romantic comedy in four chapters."